Tasting notes: A dense initial nose displays dried hay and a touch of spice. 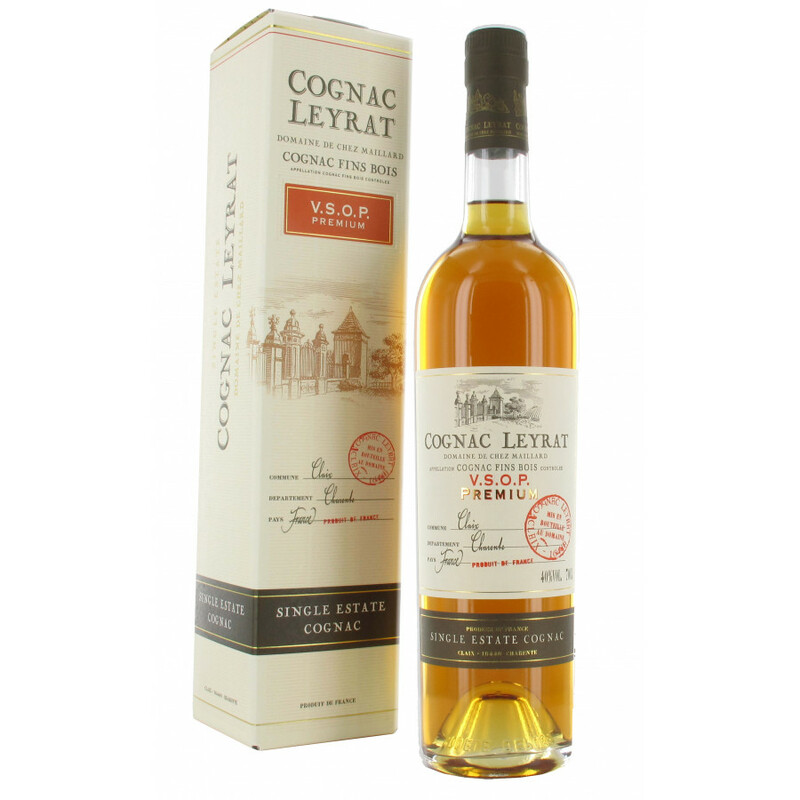 It develops to more pronounced oak with traces of pears and pepper..
Leyrat VSOP Premium Cognac is a Fins Bois cognac, with a delightful, old gold color. 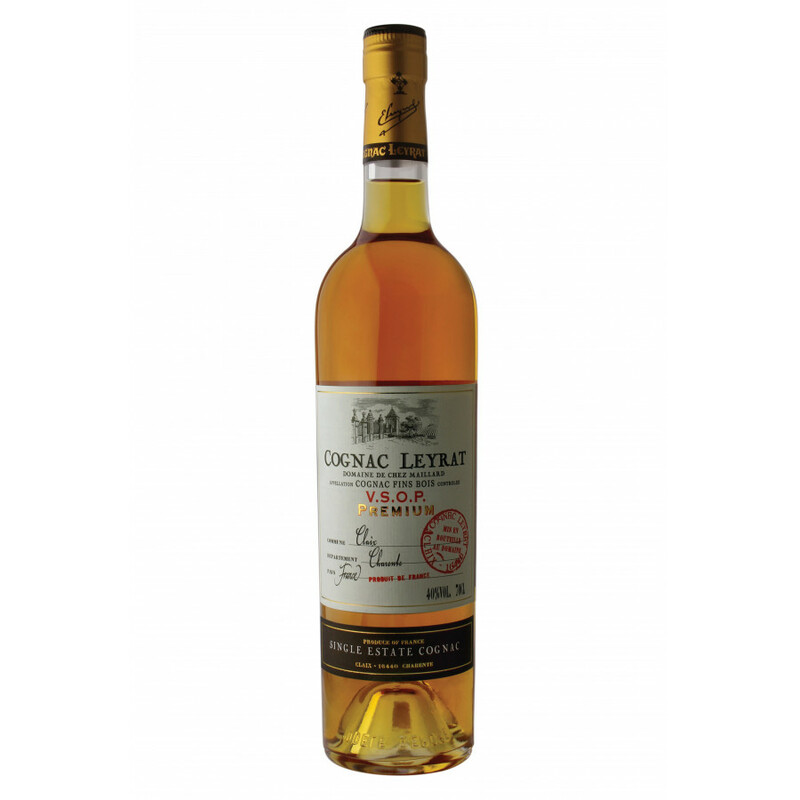 On the nose the aromas initially display dried hay and touches of spice, developing into a more pronounced oakiness with traces of pears and pepper. On the palate it's smooth and rich, leaving an aftertaste of oak, violets and flowers. Enjoy neat or on the rocks, as you prefer.